Favignana, in addition to being one of the most beautiful island in Sicily, is also the most important island among in the Egadi archipelago. 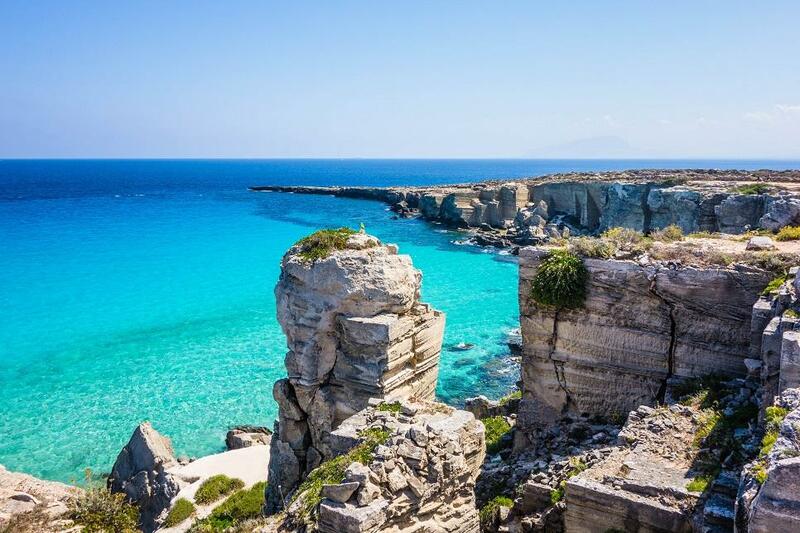 This precious pearl of the Mediterranean Sea is located about 7 kilometres from the western coast of Sicily, between Trapani and Marsala. The name Favignana derives from the Latin favonius, term with which the Romans indicated the warm wind coming from the west. The village rises around a natural inlet, where is the port on which there are the buildings of ancient Florio tuna traps. This heavenly island is the perfect destination for those who love seaside destinations, with clean and transparent waters.